It’s not always necessary to replace your computer when technology moves on. We can help with software and hardware install. We’ll install your software on your existing computer and configure it to download the latest updates. 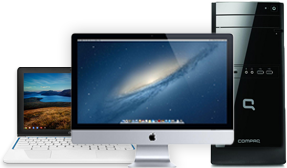 We’ll install your new piece of hardware; anything from memory and graphics cards to a printer or a broadband dongle. Anything more complex, like a motherboard or CPU, we’ll send it to our National Repair Centre.